This entry was posted on 1 April 2009 by mon@rch. 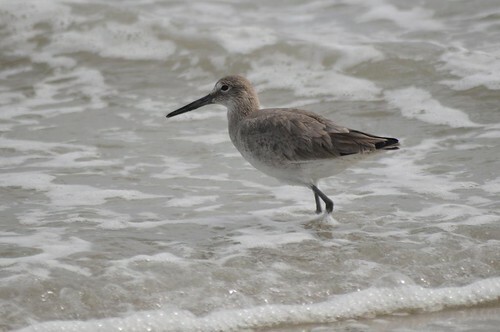 It was filed under Birds, Flickr, Nature, photography and was tagged with Beach, Ocean, Willet, Wordless Wednesday. 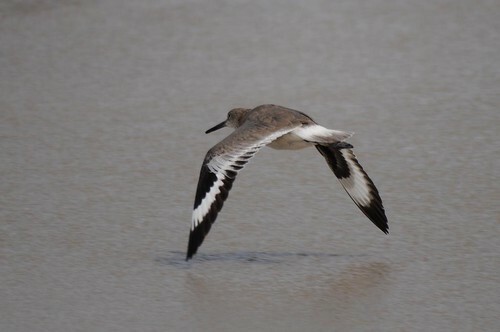 What great Willet shots Tom! What a nice trip that must have been – even with the lousy weather! 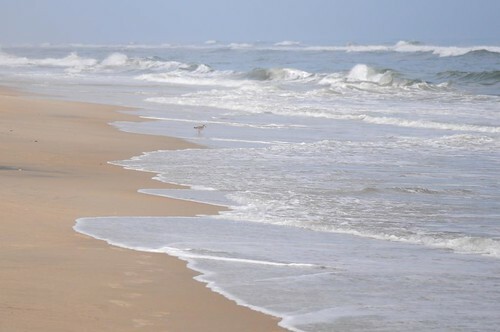 Love the shot showing the surf with the Willet in the middleground. Chincoteague must be a birding place! Those are fantastic photos. You captured that bird’s personality, ha. It sure looks peaceful there. I can almost hear the ocean. 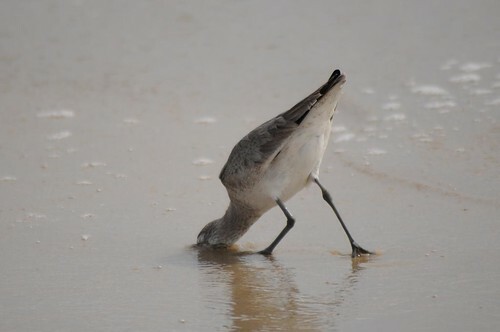 The many moods of a Willet. Believe it or not, I have never seen the ocean. Kind of sad really…Must go when I get the chance. 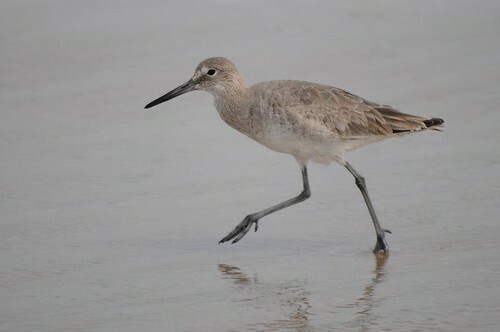 Oh what a nice series of Willet photos! 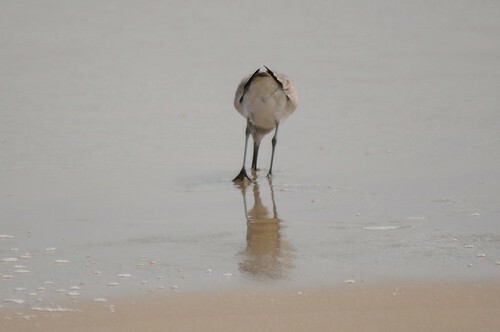 I love to see pictures (if I can’t see them in person) of shorebirds sticking those big long bills into the sand. Especially when the sand feels like concrete to my feet when walking on it. 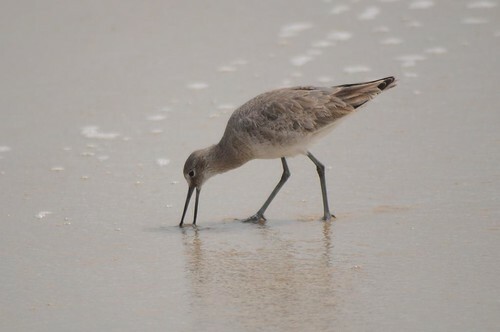 It is amazing that they can poke their bills into the sand and bring out something to eat too. 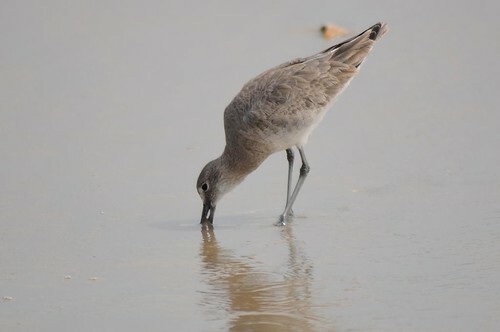 What a great series of shots of the Willet. 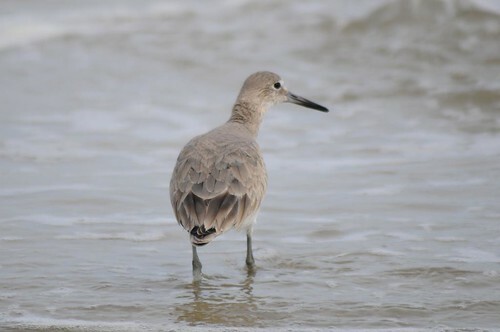 Great Willet series – I love how their drab coloring belies their contrasty wings! Great shots and personalization, Monarch! 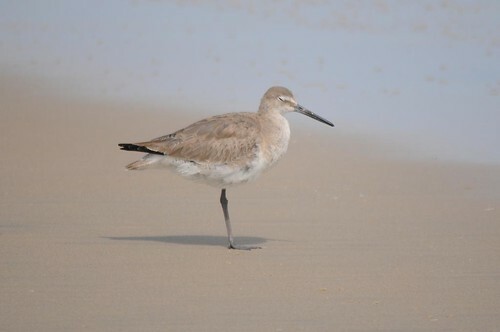 I’m surprised there was only one lonely looking willet there. No other shorebirds there either. Mmmmm. It looks like you had a very nice trip. 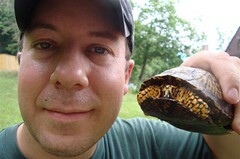 Looking forward to seeing your other photos. @everyone – Thanks for your kind words!